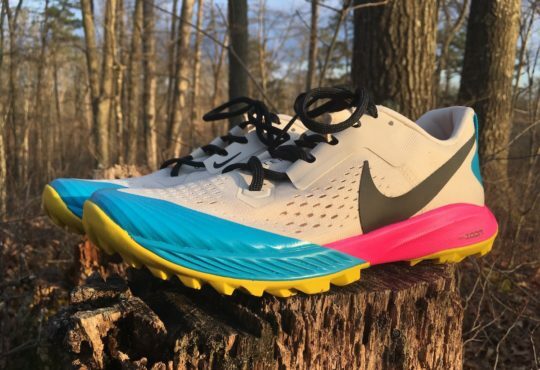 The HOKA Mach 2 is the second version of this shoe and part of their FLY collection, shoes designed for faster miles. It features the PROFLY midsole with rubberized foam as well as a breathable mesh upper. 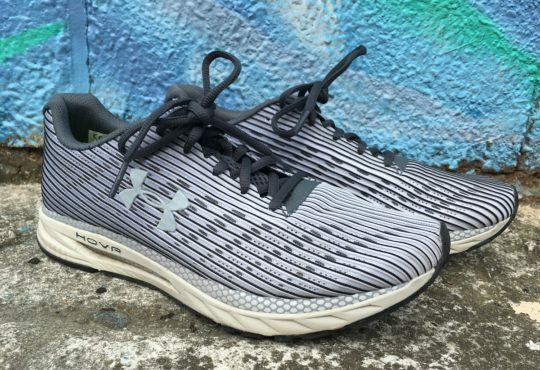 It’s designed to be a stable and responsive shoe that’s still ready to take on race miles. 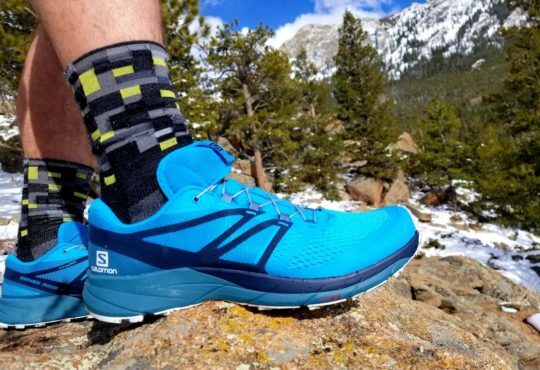 I recently reviewed the HOKA Cavu 2, and just like that shoe, the Mach 2 is a lightweight trainer. Unlike its counterpart, it has more of the traditional ‘HOKA-esque’ look. That is, visibly more shoe and more cushion. This would lead you to believe it would be heavier, and although technically it is by an ounce, you don’t notice it out on the run. I was pleasantly surprised that, despite the bulky look, it most definitely was not a bulky shoe. It’s a fairly lightweight trainer with a sizeable cushion. As the miles added up on the road, I felt like the shoe performed better. Maybe that was me adjusting to the fit or maybe that’s by design. I’m not entirely sure. Either way, I felt more comfortable in the shoe at the end of each run than right out of the gate. 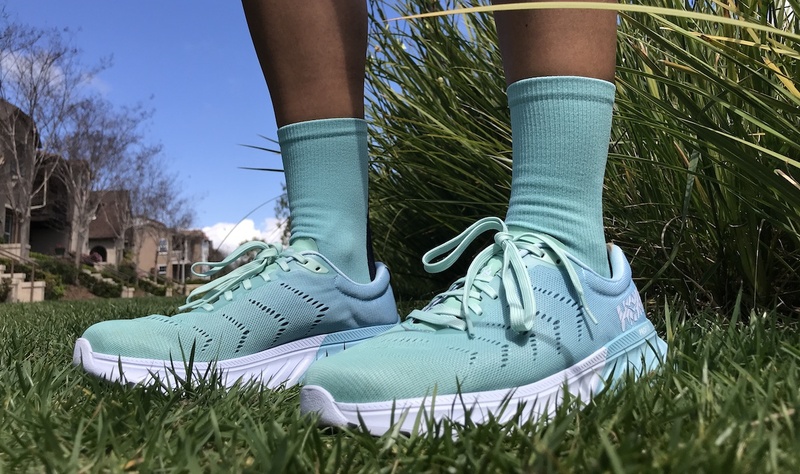 Other features that I liked but don’t have much to comment on were the very breathable mesh upper, the lower profile of the upper in general, and the surprisingly large heel collar. Let’s talk about that last one a bit. The opening to the shoe is HUGE! For someone that has smaller ankles, I wasn’t sure how that was going to work for me. But, the shoe cupped my heel just fine, without issue. This shoe is $140, compared to the $110 of the Cavu 2, and I’d say without any added benefit. Between the two, I felt like the shoes fit exactly the same. 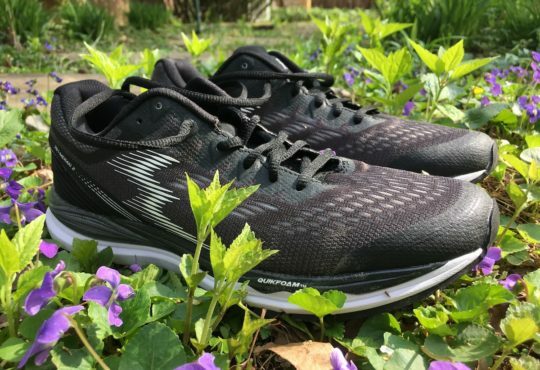 True, there is definitely more cushion in the Mach 2 and it has a wider toe surface area, but those two things didn’t translate to any noticeable difference in how my foot felt while running. In fact, I experienced the same slipping and sliding within the shoe as well as the flatness and slapping with each footstrike. I think the stiffness of the sole of the shoe, in general, just doesn’t work with my gait. Yes, it’s cushioned, but as a forefoot runner, the outsole doesn’t allow for the necessary bend for that last extra toe-off. If we’re piling on here, I think these shoes are really hideous. To put it frankly, I drew the short straw and got the worst of the colorways – Aquamarine/Lichen. I couldn’t possibly feel more like an Easter egg if I tried. I know this tidbit is really superficial, but I’m not going to lie and say that looks don’t matter. Maybe I’m just not a HOKA girl. I’m slowly coming to this conclusion. While Erin had no problem with the Cavu 2; I hated it. I’m aware that HOKAs work for a lot of people, otherwise they wouldn’t have become as popular as they are. 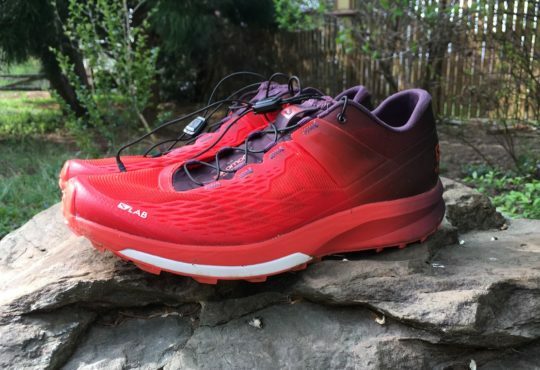 Maybe it’s my running style, or the shape of my foot, but these are not for me. 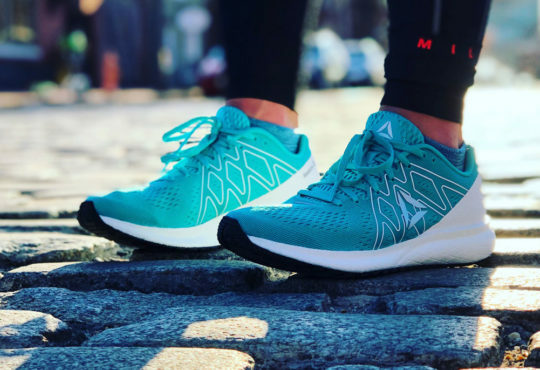 If you want to try them out though, you can pick them up at Running Warehouse for $139.95 by using the shop link below.